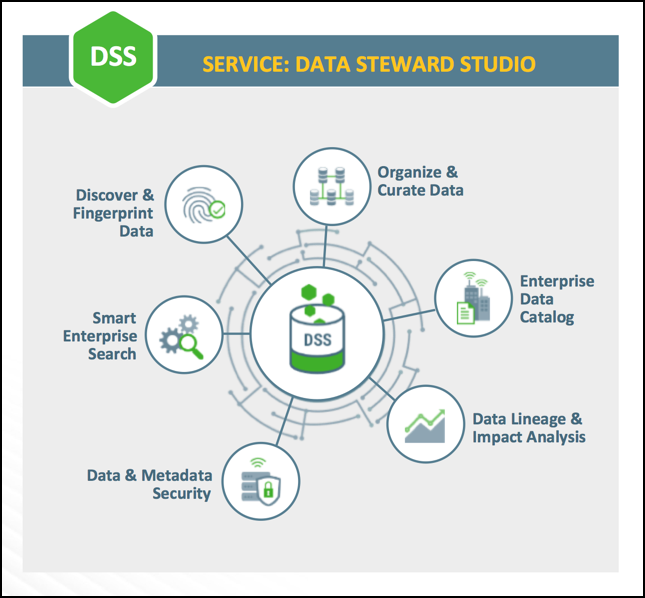 Data Steward Studio (DSS) is a service within Hortonworks DataPlane Service (DPS) platform that enables you to understand, manage, secure, and govern data assets across enterprise data lakes. DSS helps you understand data across multiple clusters and across multiple environments (on-premises, cloud, and IOT). Organize data based on business classifications, purpose, protections needed, etc. The Sensitive Data Profiler automatically performs context and content inspection to detect various types of sensitive data and suggest suitable classifications or tags based on the type of sensitive content detected or discovered.